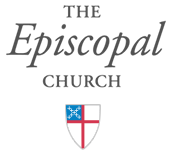 Introductory comment: Following Diocesan Convention in October, Bishop Scanlan asked a group of lay and clergy members of the diocese to reflect on what we heard about the Bishop’s vision for the diocese as it was articulated in her convention sermon and address. We, the members of the Bishop’s Address Team, commend, therefore, our reflections on her vision to you, for your own reflection and action. The Holy Spirit’s call: The Spirit’s call to us doesn’t always make us comfortable. The Spirit’s enlightening and empowering work often calls us to new ways of understanding old truths. Vision for the future: A vision for the future should arise within the heart and soul of the Body of Christ, from each and every member of that Body. The vision we harbor might lack specificity, but that is intentional; our diocese is unique and is different from other dioceses. This vision will be suited to the circumstances of our time, not times past or times that lie far in the future. How will we manage to move into the future? Discovery, Experimentation, Creativity and Collaboration. These four tools can allow God’s renewed call to us can emerge within us. Tools for this process: These four tools: Discovery, Experimentation, Creativity and Collaboration, offer antidotes to a mindset of scarcity. Abundance –or-scarcity? : Scarcity is the flipside of abundance, and there is ample evidence that the people of God in Central Pennsylvania can rejoice in the abundance of God’s blessings. But the Parable of the Rich Fool (Luke 12: 13 – 21) shows the folly of a misplaced focus, of living a lie defined by what you have, not who you are in a life with God. Grain in the barn can last only so long, perhaps a season or two. We are called by the Lord to live out the Gospel not in an environment of scarcity, but abundance, not in an environment of despair, but hope, not in an environment that proclaims “every person for herself or himself”, but in an environment in which, as we collaborate with the Spirit and with one another, we experience the Kingdom of God and proclaim the Good News of Jesus Christ. Experimenting: As the Lord leads us and as the Holy Spirit enlightens us, we can experiment with generosity, and we can experiment with creative possibilities, developing an attitude that sits lightly with failure, seeing failure as a form of discerning a renewed sense of God’s call. Jesus’ way is the Way of Love Turn, Learn, Pray, Worship, Bless, Go, Rest. These are the Lord’s practices. Aligning ourselves with the Way of Love: When we turn to the Way – the Way of Love, Jesus’ way, we align ourselves with what really matters, and everything else – abundance and scarcity, joy and fear, endowments and leaking roofs – all of that falls into place. What next, then? Discerning God’s actions and God’s will empowers us to encounter what surprises God has in store for us. We come, fully expectant and open to discovering what surprises God has in store. United by Jesus’ practices of the Way of Love, we can be built up into a united people, formed into His image and gifted with a common voice and a common witness to the Good News of God in Christ, as God’s call to us is worked out in the contexts of our own communities, parishes and convocations. Onward! God’s Kingdom is in our midst. God’s call is ever new. Let us simply shine God’s light upon it and celebrate the love, the grace, the healing and the restorative power it offers.